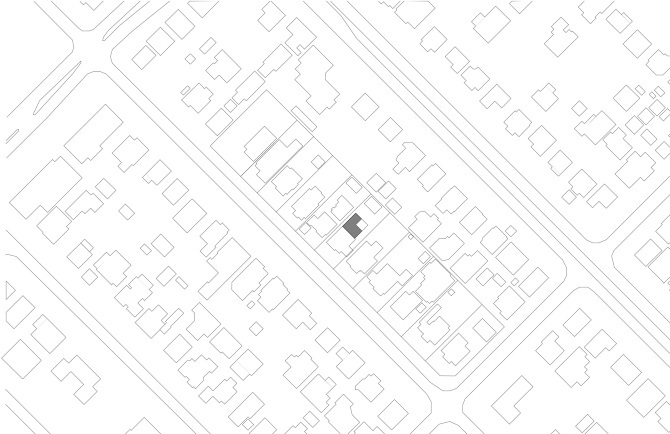 As is common in a suburban extension, the constraints (site features, solar orientation, existing house layout) defined the architectural opportunities to be explored. With a brief that requested a new living area connected to the existing kitchen, two bedrooms and associated wet areas, the extension was tested in models and drawings before a final plan was developed. Designed for a modest construction budget, the house has few 'tricks' and instead is designed with well-proportioned spaces that carefully open to the sky and the garden. The master bedroom and en suite on the north-west corner of the house, for example, have a row of hooded windows that face an existing mature jacaranda tree while obscuring adjacent houses and sheds. The living room likewise opens to the sky, with three large operable skylights, and onto a semi-contained deck. It is in these 'edited' slices of sky and garden that the house attempts to find calm and seclusion for its inhabitants, a young couple with children. As a container for the chaos of modern family life the house has a deliberately reduced formal and material palette into which kids, pets, friends, furniture and art fit casually and naturally.